On this day in 1919, the Volstead Act (also known as The National Prohibition Act) was passed by Congress enforcing the Eighteenth Amendment to the Constitution. What does this mean? 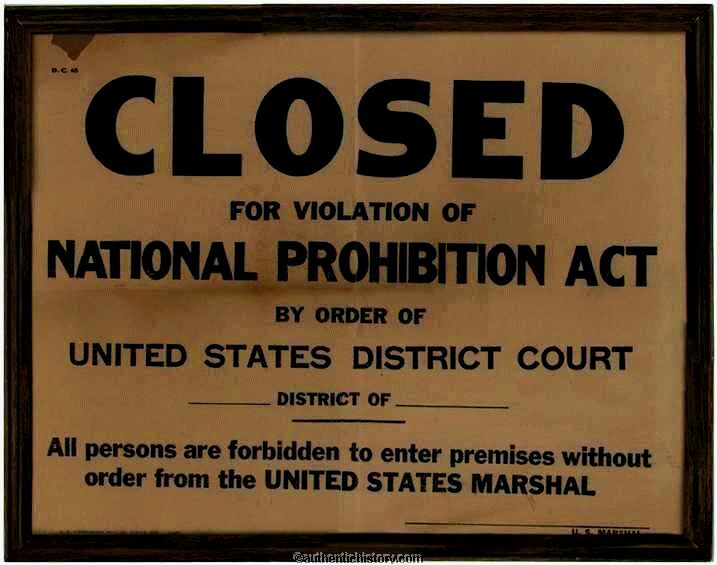 It means that the “manufacture, sale, or transportation of intoxicating liquors” in the United States is prohibited. Yes… a sad… sad day for many beer lovers. Many thought that beer and wine would be exempt from the measures presumed with the Volstead Act; however, “intoxicating” was defined as anything more than .5 of 1% alcohol. Let’s just say… this law was destined to fail. Beer wins!